JOIN US for a family friendly celebration of the holidays! 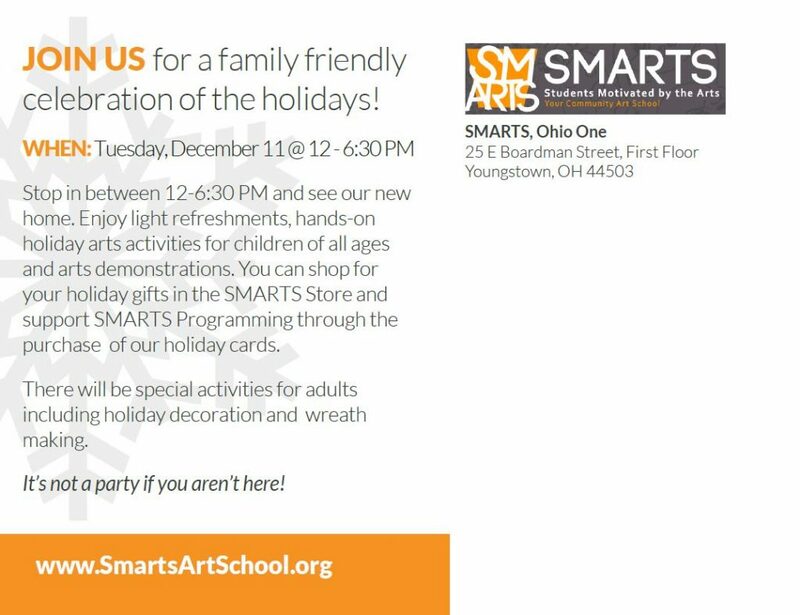 WHEN: Tuesday December 11 @ 12-6:30 p.m.
Stop in between 12-6:30 p.m. to enjoy light refreshments, hands-on holiday arts activities for children of all ages and arts demonstrations. 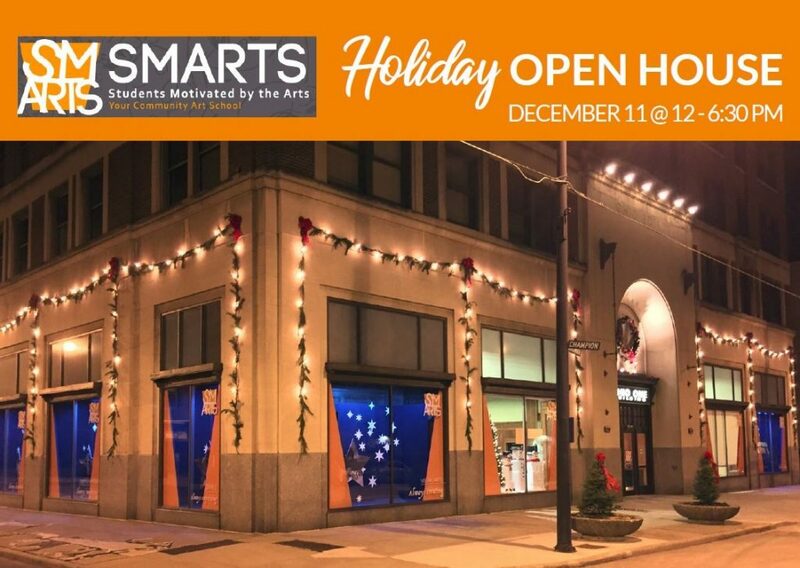 You can shop for your holiday gifts and support SMARTS programming by shopping in the SMARTS store and through the purchase of our student designed holiday cards. It’s not a party if you aren’t here!